We also supply our plants for the physico-chemical treatment of process water, wastewater and for water circulation in EnviModul design. We then install all plant components in standardised modules, which can be air-conditioned if required and have integrated safety technology. As a result, you save on the construction of an own building, as well as the regulatory approvals that would be required in relation to this. EnviModul plants are prefabricated at our German production sites. Customers can carry out the acceptance process at our site. The complete plant technology is then transported to the customer and installation is completed. This saves time on-site. 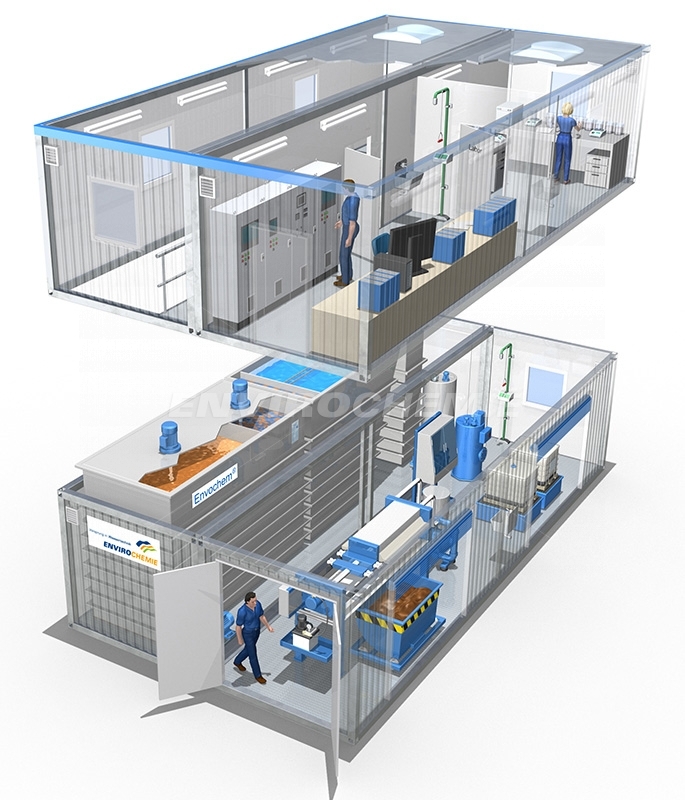 EnviModul plants can be configured individually and expanded if required.